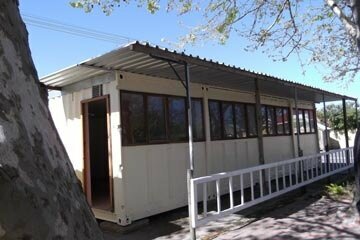 John Wycliffe Christian School is located in an underprivileged area in Cape Town, South Africa. It offers Christian-based education to students in kindergarten through grade 7. Students come from a diverse background racially, economically and socially. The school purchased and installed two containers on a concrete pad on the school property. With the grant provided by Classrooms for Africa, the interior was renovated to provide functional space for the tutoring and after-school programs.